Last week, as I was heading across the country with a friend, we made a stop in Chicago to get some lunch and afterwards refuel with a good cup of coffee. 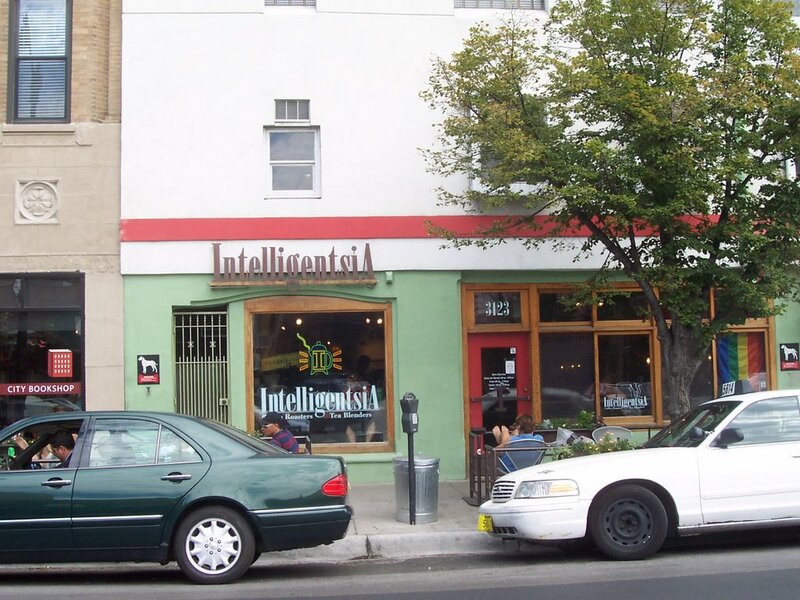 I had made a note that the guy who came in third at the World Barista Championship came from Intelligentsia, a Chicago-based roaster/coffeehouse that is absolutely "fanatical" about coffee. After a little traffic getting up to their Broadway store, we found parking right in front but decided to grab a deepdish pizza, then come back for coffee. The pizza took forever (it was a place on Broadway that was known for their stuffed pizza) but boy was it amazing (even better cold). Upon our return to Intelligentsia, we found the store pretty packed, with numerous people doing work or holding conversation. I noted that they had a completely seperate counter for their whole bean sales which I guess was more out of necessity due to volume. From what I could tell, the coffee was amazing as was the espresso. Both were smooth and well-balanced. My iced redeye was neither sharp nor too bitter, but had the right bit of hootsba (sp?) to keep me glowing. Oddly I don't remember seeing their tea or chai, but upon investigation on their site, they sell their own tea as well! A rarity indeed if the tea is as good as the coffee. One of few places that needs no real review; they're reputation precedes. So if you're near Chicago, grab a stuffed (or deepdish) pizza and finish it off with a trip to Intelligentsia.